When it comes to estate planning, assigning a power of attorney to take care of your legal and financial affairs in the event that you are unable to do so is the best way to protect yourself. With proactive planning, a power of attorney is a safeguard for your financial situation and an effective way to protect your family from having to worry about your financial and legal wishes during a time of incredible hardship. Because a power of attorney essentially has control over your bank accounts and your liabilities, it is important to select a power of attorney that has the necessary experience to manage the decisions associated with your financial and legal affairs. 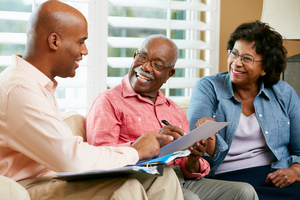 At Elder Law & Estate Planning Solutions of the Piedmont, we help individuals in the Concord, North Carolina area with all matters pertaining to their estate planning and wills, and we can work with you to determine the best candidate for the role. We recommend selecting a power of attorney with a certain amount of financial acumen to be able to act in your best interests. The position should only be assigned to someone with an understanding of finances, but it is also important to discuss the roles and responsibilities with the candidate so that they understand the nuances of your financial and legal obligations and what your wishes are in the event that you are unable to represent yourself. A power of attorney should be someone you trust, first and foremost, to be able to handle your affairs, but also someone who will be able to collaborate with your lawyers, accountants, and family members, when necessary. If you need guidance or have any questions about the responsibilities your power of attorney will have and what precautions you can take to limit their control over your affairs, give us a call today.